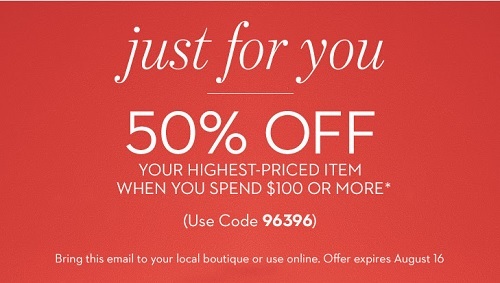 Receive 50% discount on highest-priced item at Chico's stores in the United States. Print a coupon, bring it to your nearest Chico's store and enjoy the offer! Source of the information is Chico's. Offer is valid through 08/16/2015. For more information visit your nearest Chico's store in the United States.